This past semester has been one to remember. 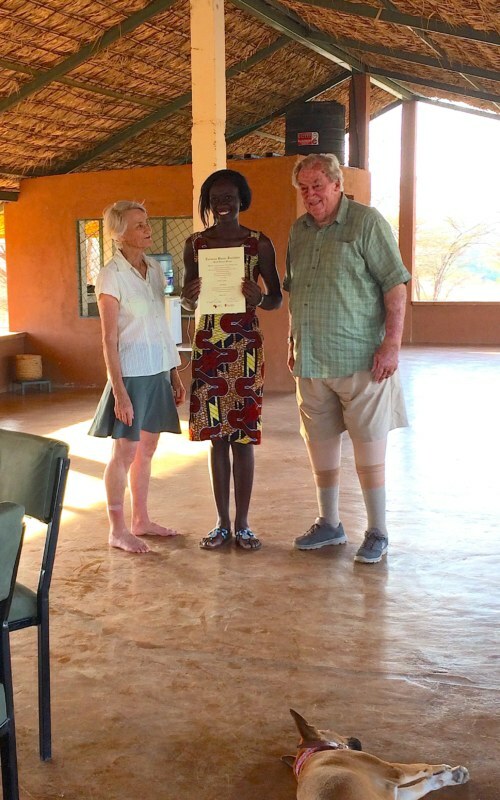 The students learned about the Ecology of the Turkana Basin, being able to identify all the common plant species in the region and understanding how animals foraging on these plants have affected the environment. 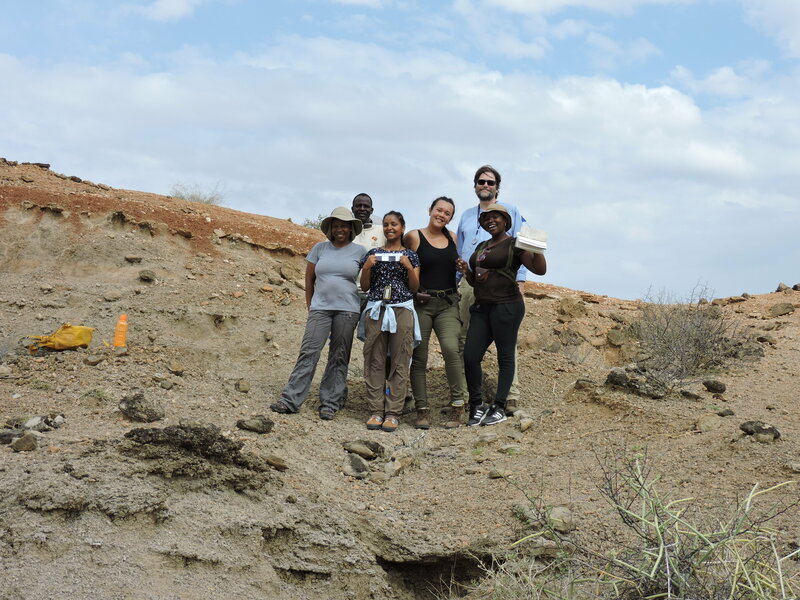 They learned about the Geology of the Turkana Basin, where each and every one of them were able to identify the key formations in the region and create geological maps that scientists can benefit from today. 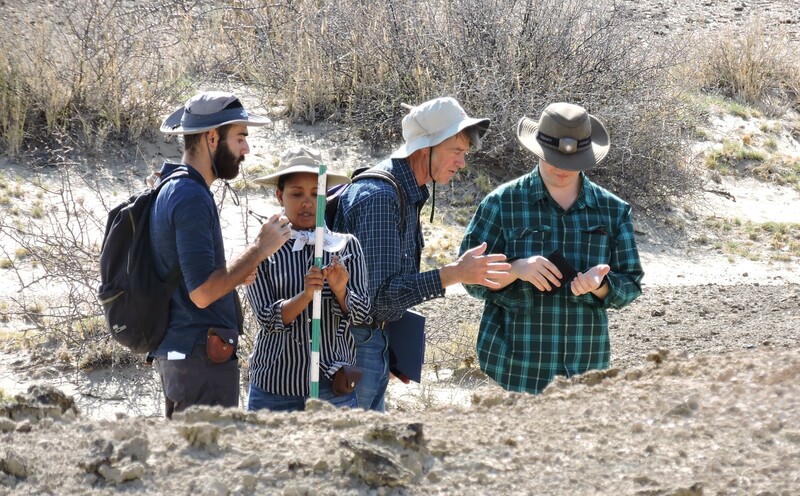 Then, they took Vertebrate Paleontology, where each and every one of them had the opportunity to prospect, excavate and prepare fossils in the lab. 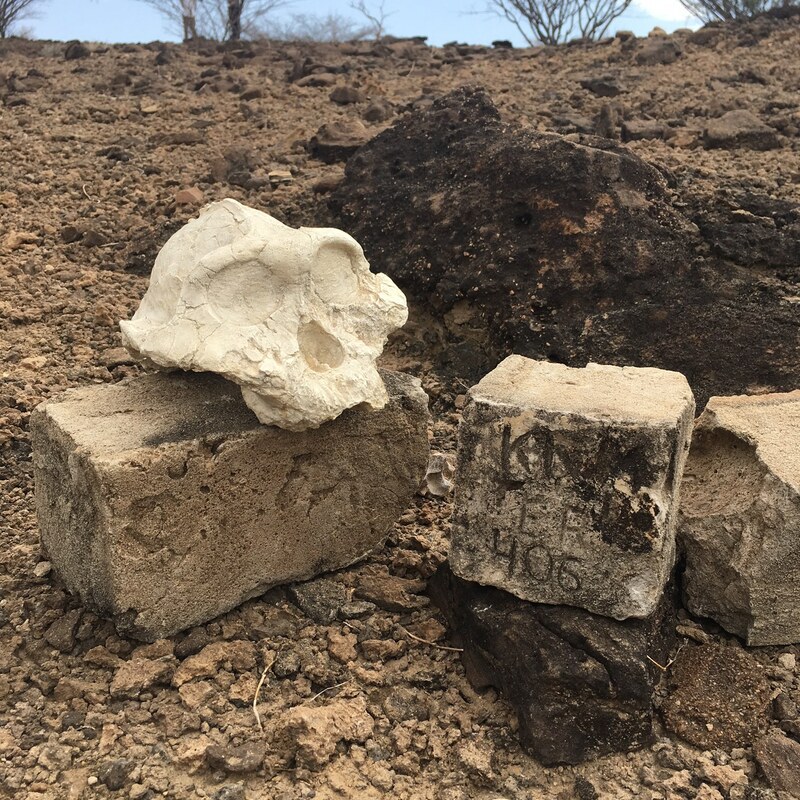 In Human Evolution, the students learned about the diverse amount of hominin fossils discovered in this region and even found some amazing specimens (not hominins, but in the primate order!) of their own! 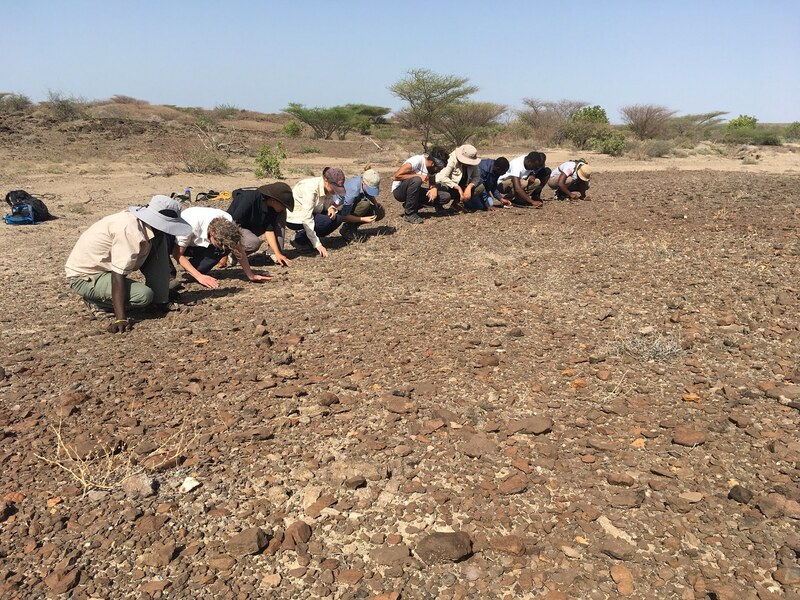 Lastly, in the Archaeology of the Turkana Basin, they visited multiple world famous sites, learned how to knap, and even butcher a goat like how our past ancestors may have done! Most importantly, after all these modules, the students were able to see just how important each field is and why having an overall understanding of each is extremely critical in research. 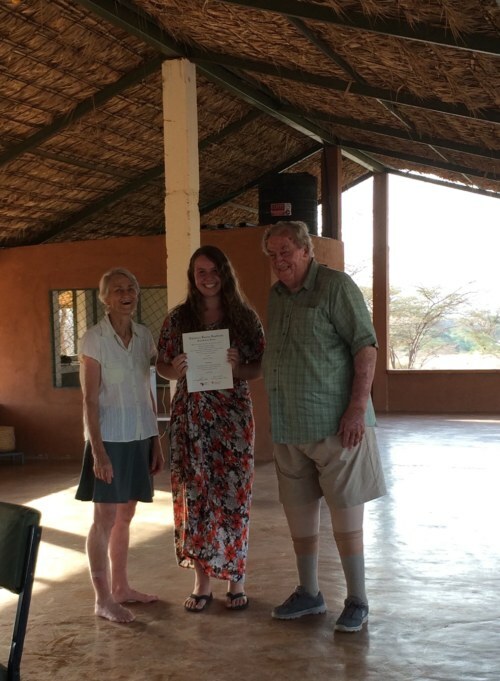 The students left the TBI Origins Field School with a better understanding of the world around them, but most importantly, with lifelong friends that they shared beautiful moments together this past semester! 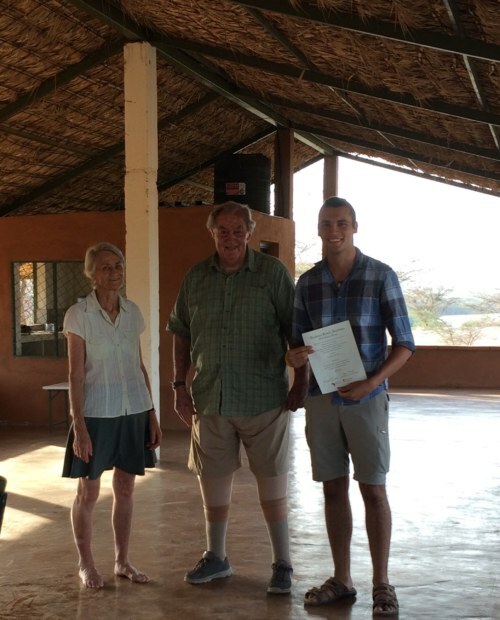 We now have 12 new graduates of the TBI Origins Field School! 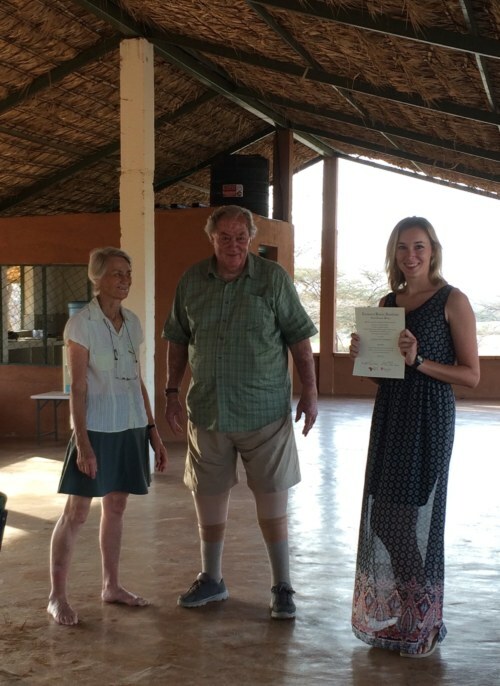 We were very honored to have Dr. Richard Leakey and Dr. Meave Leakey present at the graduation ceremony. 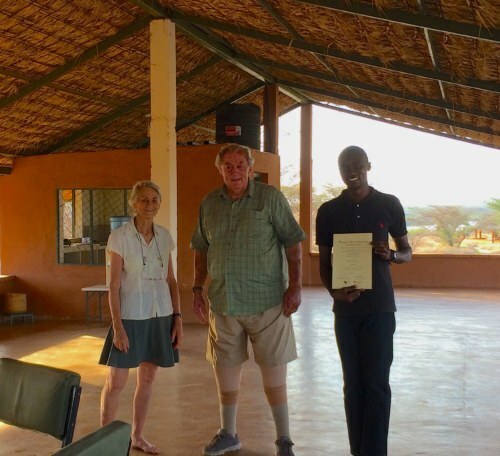 Dr. Richard Leakey gave an inspiring speech to the students, where he not only praised their hard work but gave them life advice that many of them will hold on to forever. 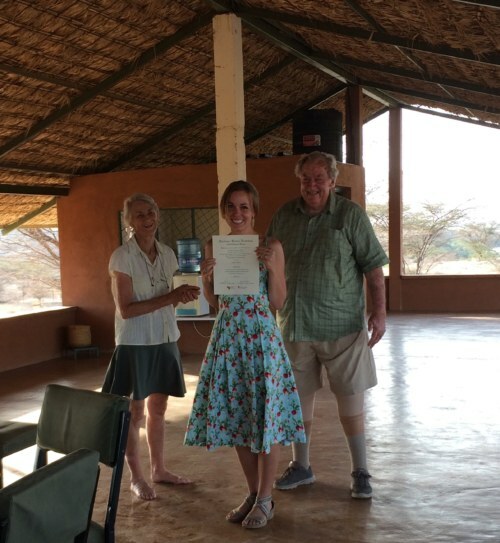 It was truly a remarkable experience and absolutely fantastic to see all the students receive their graduate certificates from Drs. 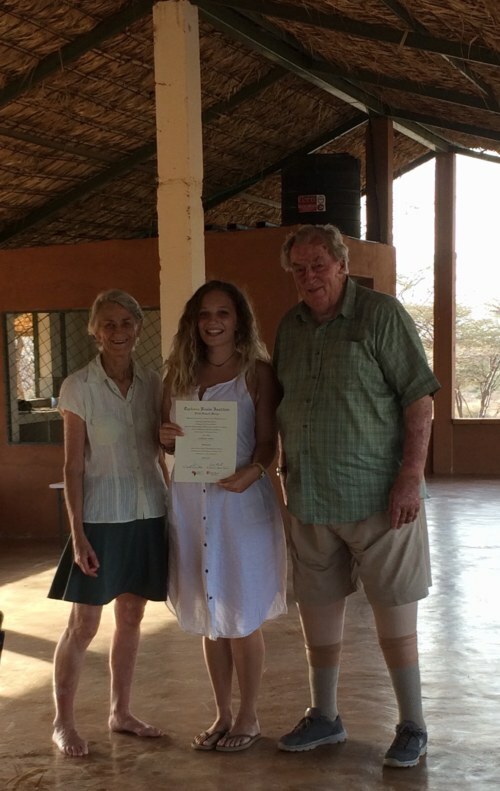 Richard and Meave Leakey! We are all so proud of our TBI graduates and cannot wait to see where all of them end up in the future! 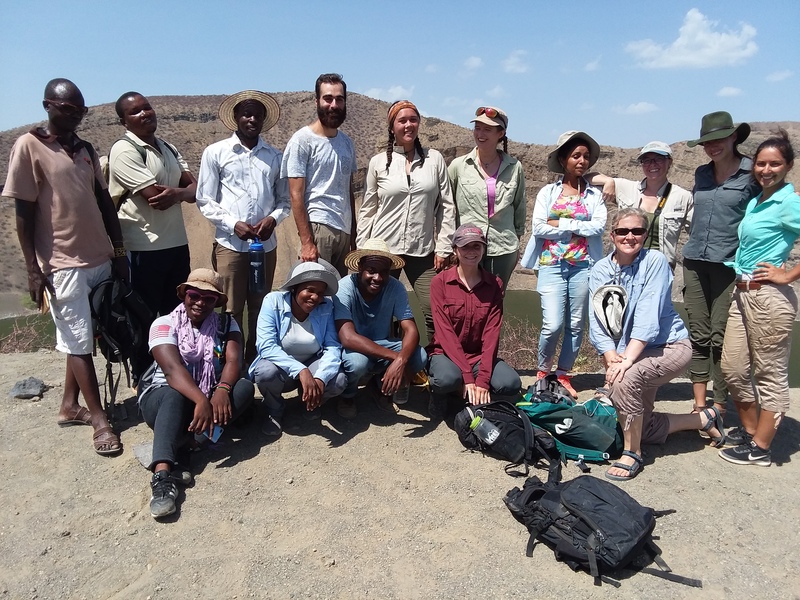 Fall 2016 field school students with TBI Turkwel staff. 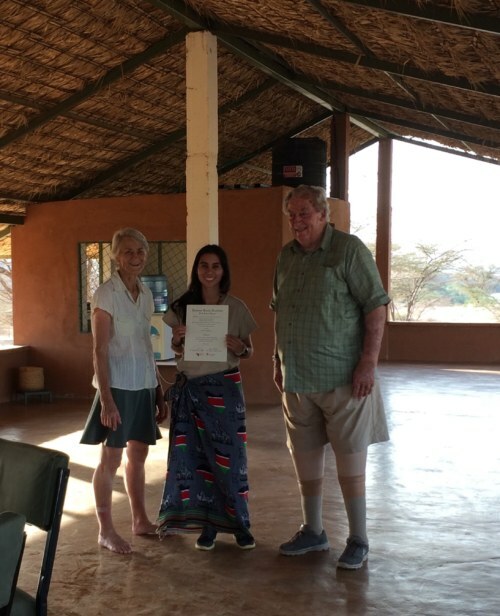 We would like to thank Turkana Basin Institute, Stony Brook University, Mpala Wildlife Foundation and most importantly the Leakeys, for creating an institution that makes this all possible! 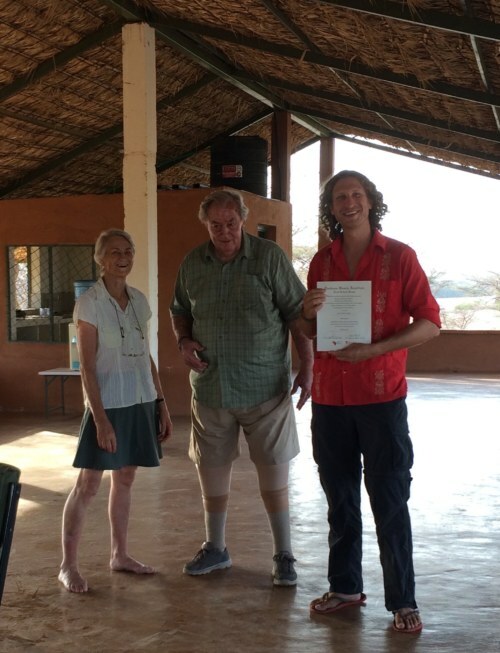 Thank you to all the instructors who came out to teach our students, it has been an incredible experience to learn from some of the top researchers in the world! 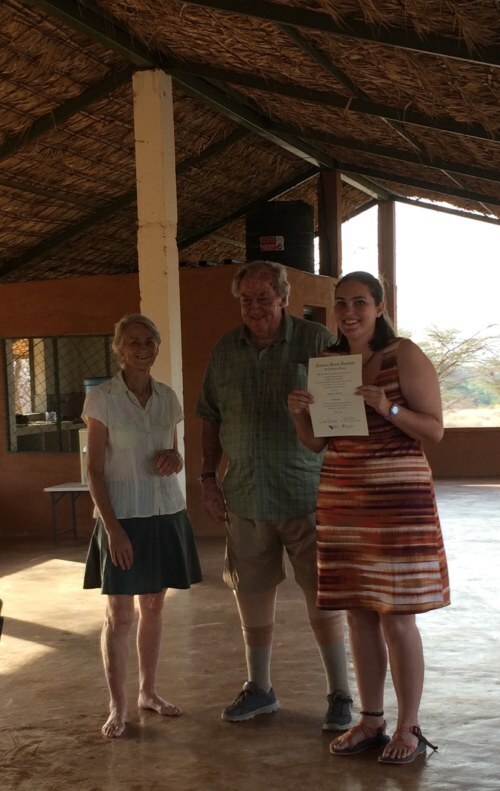 Lastly, I would like to give a special thanks to our Field School Director Linda Martin. 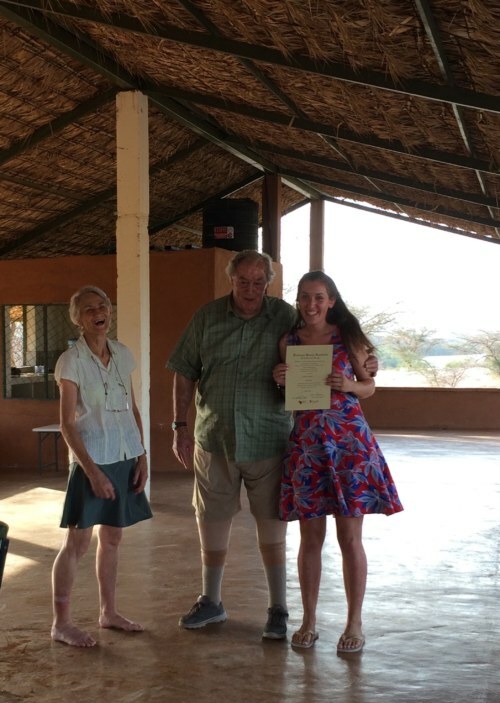 If it wasn’t for her support and guidance throughout the semester, I do not think the field school would have gone so smoothly. It really has been an amazing semester and I am sure as each and every one of you reflect with your loved ones, they too will tell you how life changing it really was. Congratulations again to all of the graduates! Best of luck in all of your future endeavors! 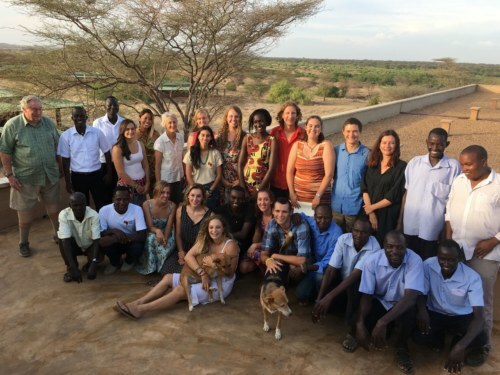 It was truly a pleasure to work with each and every one of you and see all of you grow throughout the field school. Hi I'm Jayde and I am the TBI Origins field school teaching assistant for Fall 2016. 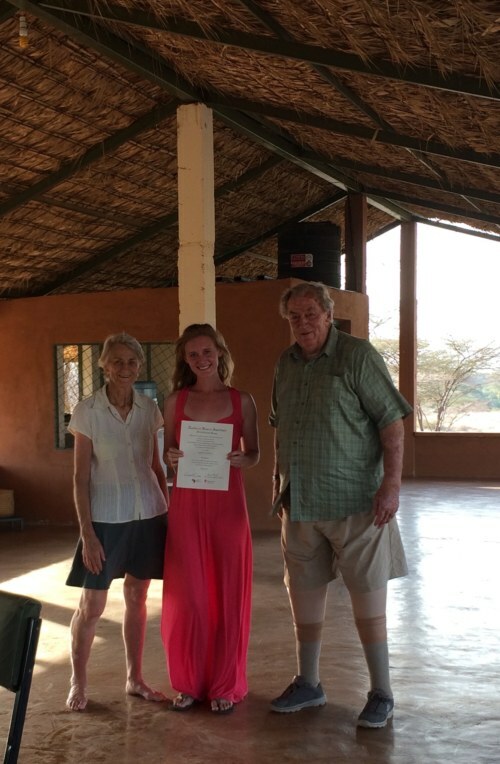 I recently graduated from Rutgers University and am applying to graduate schools to study geoarchaeology. I am mainly interested in reconstructing past environments and its influence on hominin populations.